We were here for a wedding. We arrived and able to check in in under five minutes. The staff was friendly and very efficient. Nice river and tower bridge view, window opens (6th floor), but no safety features to protect young children (ours were allowed to sit by the window only when we were present). Room was mostly clean, sofa bed was very uncomfortable for our kids (10&7). On our last night we have very loud neighbors until 11pm. Pool area was clean but heavily chlorinated, all main areas of the hotel were clean and friendly staff. Morning breakfast has a lot of selections, but not great. There’s a made to order area, but they only post omelet choices, not what else you can get from them (ie pancakes...). Saturday morning breakfast was packed and not enough help to keep tables cleaned, cereal filled, silverware and glasses, water, syrup all ran out and seating was a BIG issue during the peak morning hours. My biggest gripe was the $30+ for daily parking, on top of being a pricy hotel. Overall, my 2 children really enjoyed this trip with exploring Old Town, RR Museum, the Capital, and that’s all that we really could hope for. Where to find Dixon hotels near an airport? Where can I find hotels in Dixon that are near tourist attractions? 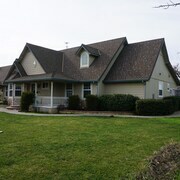 Are you arranging to spend some nights in Sacramento? 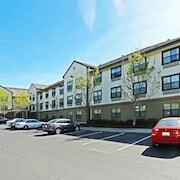 Hoping to find accommodation in or around Dixon? Central Dixon offers 3 hotels and apartments within a 0.1-kilometre (0.06-mile) radius. 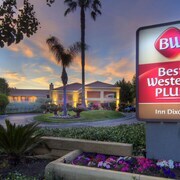 Our hotels within driving distance of Dixon include the Country Inn & Suites By Carlson, Dixon, CA - UC Davis Area and Best Western Plus Inn Dixon. Expedia's extensive database offers just a limited number of economical lodging options in Dixon. The Super 8 Dixon / UC Davis is one such listing. 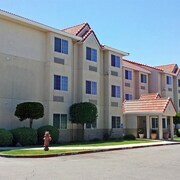 The Embassy Suites Sacramento - Riverfront Promenade is situated 30 kilometres (18 miles) from the main part of Dixon. 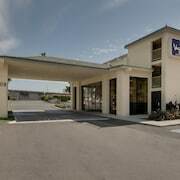 Alternatively, the Best Western Plus Palm Court Hotel is located 14 kilometres (9 miles) away. Two more places to rest your head include the The Citizen Hotel, Autograph Collection and the Hyatt Regency Sacramento. The larger Northern California area is certainly well worth visiting as well. Visit Northern California's art museums and art galleries. Those who love fresh air and wide open spaces could also make the time to to enjoy the region's mountains. Fun-loving travelers may also try their hand at snowboarding and skiing in this part of United States of America. Roseville is 55 kilometres (35 miles) to the northeast of Dixon and is home to the Golfland Sunsplash and Westfield Galleria at Roseville. 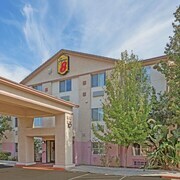 Expedia-listed Roseville hotels are the Residence Inn by Marriott Roseville and Homewood Suites Sacramento Roseville. 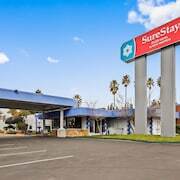 60 kilometres (36 miles) to the northeast of Dixon, you can also stay at Roseville - Rocklin, home to the Staybridge Suites Rocklin and TownePlace Suites Sacramento Roseville. The All American Speedway and Maidu Museum are a couple of the popular places to check out while in Roseville - Rocklin. Get your fix of local sport by making a visit to AT&T Park, which is 90 kilometres (56 miles) to the southwest of Dixon. For visitors who are interested in booking accommodation close by, make a reservation in the Fairmont Heritage Place, Ghirardelli Square or The St. Regis San Francisco. Now you've explored hotels and apartments options in Dixon, be sure to visit our Dixon travel guide for the inside scoop on the many great attractions in this part of the world. What are the most popular Dixon hotels? Are there hotels in other cities near Dixon? What other types of accommodations are available in Dixon? Explore Dixon with Expedia.ca’s Travel Guides to find the best flights, cars, holiday packages and more!